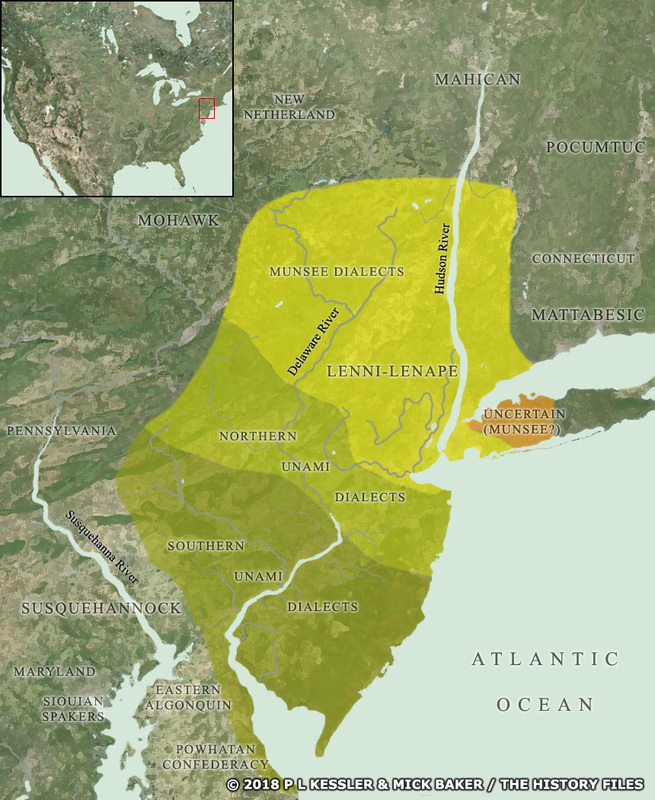 The Lenni-Lenape were distributed as shown in this map, located mainly in New Jersey and adjacent territories, including the western section of Long Island, with a questionable group of possible Munsee speakers alongside them. To select a tribe for further information, click on its name. Original text and maps copyright © P L Kessler, Mick Baker, and the History Files. An original feature for the History Files. Go back or return home.